Back by popular demand, first up we've got Cassiopeia. 3 rows Black w/white flecks. 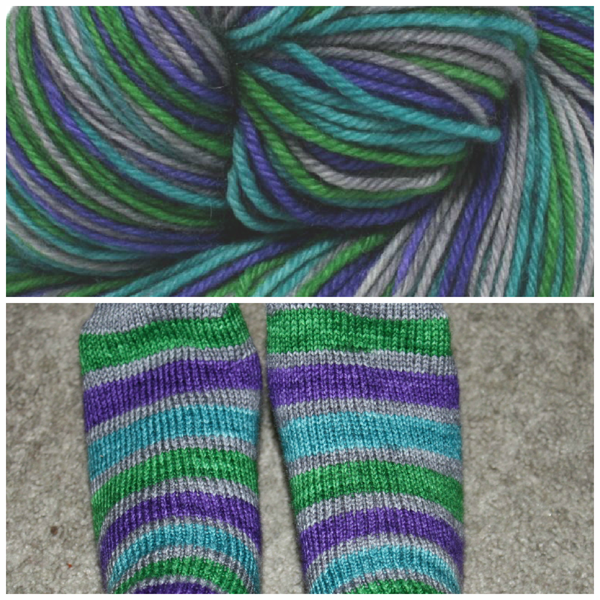 See other projects made with this colorway on Ravelry! 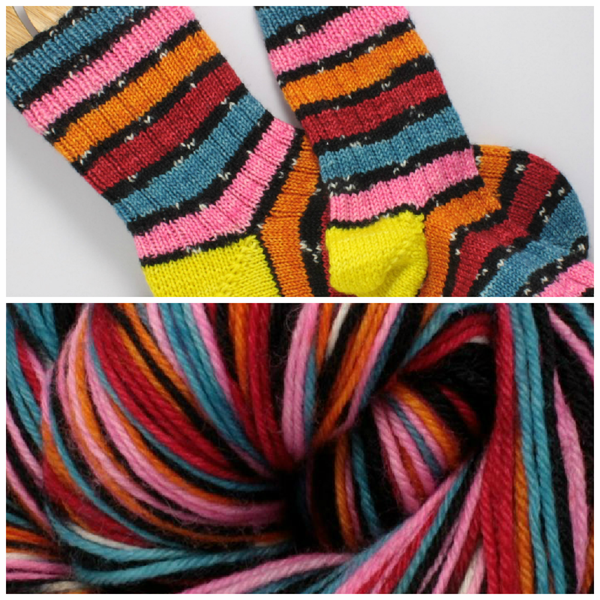 See other projects made with this colorway! Two more pattern ideas for you this week. First, some free socks from knitty.com--Geek is a pattern that has you do slip stitches where the yarn changes color, to show off your stripes without doing plain vanilla. Second, this awesome hat I found on Ravelry--Hado is a slouchy tam which playes with biasing to make an awesome wave pattern.